It's the second last day of Gamescom 2014 and IGN have uploaded yet another PES 2015 gameplay video. The new PES 2015 gameplay video by IGN shows a match between Portugal and Spain and was recorded directly from the PS4 console. The video includes many goals and also shows a huge bug when Diego Costa controls the ball that goes through his own body before scoring Spain's second goal (around 10 mins in). 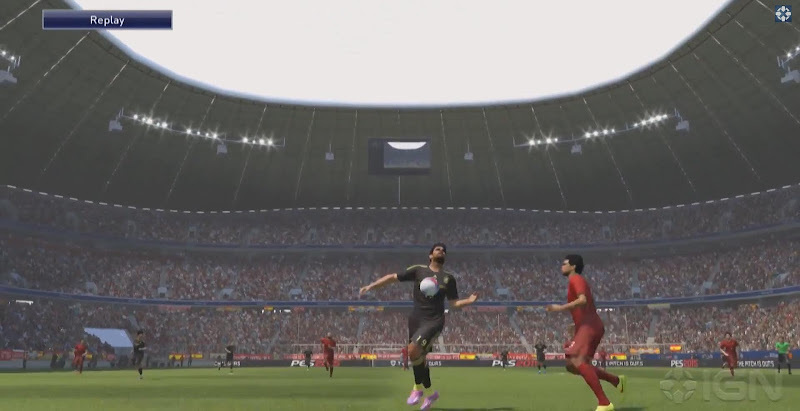 This is the new direct feed PES 2015 HD gameplay video of Portugal - Spain.